Mount Koya Trip, the most sacred mountain in Japan. - MisTan IzZy | Travel & Lifestyle. Mount Koya Trip, the most sacred mountain in Japan. Mt. Kōya is primarily known as the world headquarters of the Kōyasan Shingon sect of Japanese Buddhism, with more than 100 temples and monasteries, and its probably the most sacred mountain in Japan. Despite being the less known tourist attraction, Mount Koya is fairly easy access from Osaka, Kyoto or Nara. One day trip made possible with trains, however it is suggested to stay one night and experience sleeping in a temple. Besides taking train direct to the base of the mountain for the cable car connection up to the top, many travelers choose to go by foot on the Koyasan trails. I would have been on hiking if it weren't during winter time, it could be a great experience to hike along the most sacred mountain! Unfortunately, JR pass is not accessible to Mount Koya as its accessible primarily by the Nankai Electric Railway from Namba Station in Osaka to Gokurakubashi Station at the base of the mountain. There are some really good deals from Nankai for those who plan on a day trip or 2 days trip. After reaching the base, you will then need to take the cable car to the top, the journey is about 5 minutes. The entire trip takes about 1.5 hours on an express train or 2 hours by non-express. You are mostly suggested to buy a one day bus ticket with unlimited ride at JPY 830 , ticket counter is located just outside of the cable car station. Although walking around Koyasan is possible, but bus ride could save you some times. 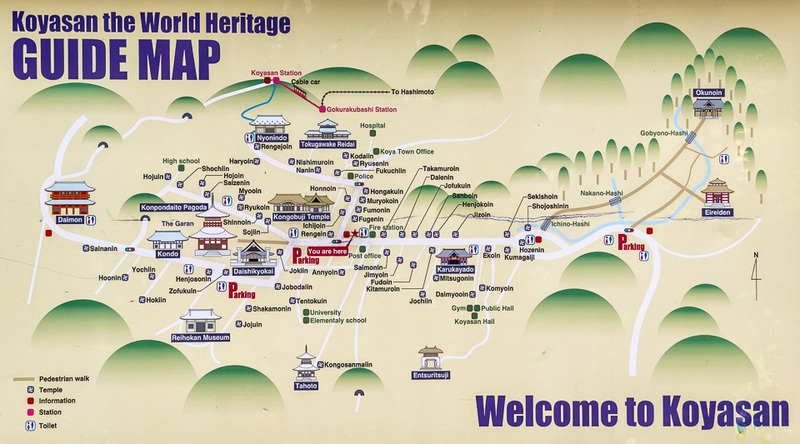 When it says the most sacred mountain, it is expected with shrines and temples, there are a few popular temples are to be visit. If you pick up one of the hiking trail, you will first end up seeing Daimon Gate. If you're taking the cable car, you will end up on Koyasan Station, and continue your visit with one day bus ticket. Firstly, you wouldn't want to miss out Danjo Garan, starting from Kondo Gate. Located in Danjo Garan, there is this beautiful Konpon Daito Pagoda. Okunoin (奥の院) is the site of the mausoleum of Kobo Daishi (also known as Kukai), the founder of Shingon Buddhism and one of the most revered persons in the religious history of Japan. Instead of having died, Kobo Daishi is believed to rest in eternal meditation as he awaits Miroku Nyorai (Maihreya), the Buddha of the Future, and provides relief to those who ask for salvation in the meantime. Okunoin is one of the most sacred places in Japan and a popular pilgrimage spot. Okunoin's cemetery is the largest in Japan, with over 200,000 tombstones lining the almost two kilometer long approach to Kobo Daishi's mausoleum. Wishing to be close to Kobo Daishi in death to receive salvation, many people, including prominent monks and feudal lords, have had their tombstones erected here over the centuries. Strolling around Koyasan gives a very relaxing, calming, and enjoyable experience to me. The only disappointment was that we're unable to walk the Pilgrimage Trail, otherwise it would have been perfect! 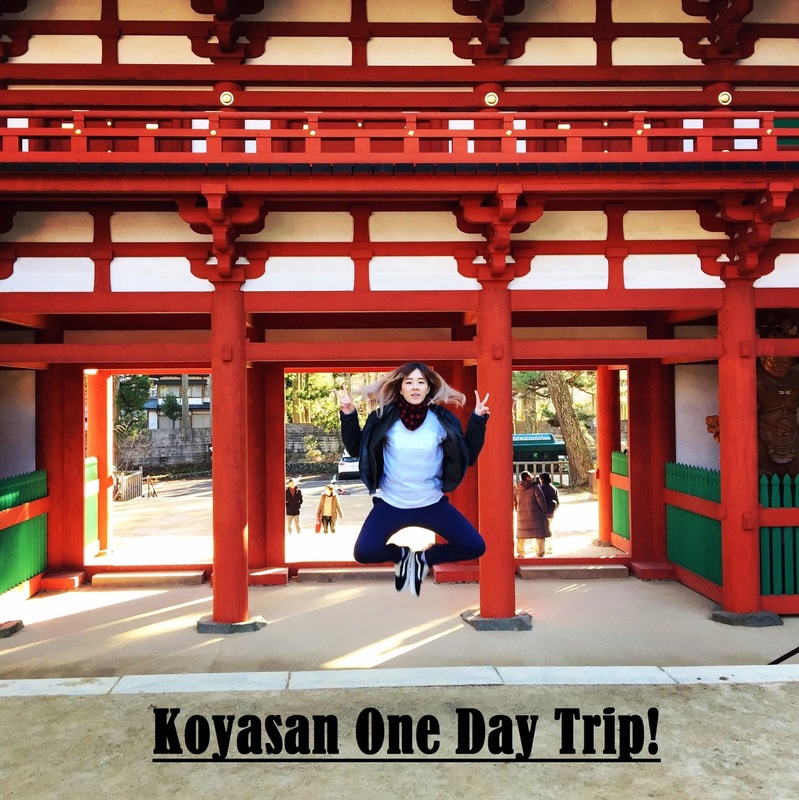 One Day Itinerary in Nara, Japan. Kudoyama, a historic site with samurai stories.